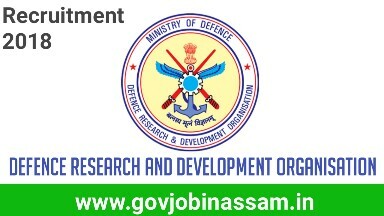 Name of post : Senior Technical Assistant ‘B’ (STA ‘B’). 1) For General Candidate – 260 posts. 2) For OBC Candidate – 130 posts. 3) For SC Candidate – 68 posts. 4) For ST Candidate – 36 posts. ➡️ Agriculture – 04 posts. ➡️ Automobile Engineering – 06 posts. ➡️ Botany – 03 posts. ➡️ Chemical Engineering – 13 posts. ➡️ Chemistry – 24 posts. ➡️ Civil Engineering – 04 posts. ➡️ Computer Science – 79 posts. ➡️ Electrical & Electronics Engineering – 16 posts. ➡️ Electrical Engineering – 35 posts. ➡️ Electronics & Instrumentation – 07 posts. ➡️ Electronics or Electronics & Communication or Electronics & Telecommunication Engineering – 100 posts. ➡️ Geology – 03 posts. ➡️ Instrumentation – 05 posts. ➡️ Library Science – 11 posts. ➡️ Mathematics – 08 posts. ➡️ Mechanical Engineering – 140 posts. ➡️ Metallurgy – 08 posts. ➡️ Photography – 02 posts. ➡️ Physics – 16 posts. ➡️ Psychology – 05 posts. ➡️ Zoology – 05 posts. ➡️ For Agriculture:- B.Sc. degree in Agriculture/ Agricultural Science from recognized University/ Institute. ➡️ For Automobile Engineering:- Three years Diploma in Automobile Engineering from recognized Technical Board/ Institute. ➡️ For Botany:- B.Sc. degree in Botany from recognized University/ Institute (candidates of ZBC etc. may also apply). ➡️ For Chemical Engineering:- Three years Diploma in Chemical Engineering/Technology from recognized Technical Board/ Institute. ➡️ For Chemistry:- B.Sc. degree in Chemistry/Chemical Science from recognized University/ Institute (candidates of PCM/ZBC/PCB etc. may also apply). ➡️ For Civil Engineering:- Three years Diploma in Civil Engineering from recognized Technical Board/ Institute. ➡️ For Computer Science:- B.Sc. degree or Three years Diploma in Computer Science/ Engineering/ Technology/ Information Technology from recognized University/ Technical Board/ Institute (Courses by DOEACC/BCA/MCA are not eligible). ➡️ For Electrical & Electronics Engineering:- Three years Diploma in Electrical & Electronics Engineering from recognized Technical Board/ Institute. ➡️ For Electrical Engineering:-Three years Diploma in Electrical Engineering from recognized Technical Board/ Institute. ➡️ For Electronics & Instrumentation:- Three years Diploma in Electronics & Instrumentation from recognized Technical Board/ Institute. ➡️ For Electronics or Electronics & Communication or Electronics & Telecommunication Engineering:-B.Sc. degree Or Three years Diploma in Electronics or Electronics & Communication or Electronics Telecommunication Engineering from recognized University/ Technical Board/ Institute. ➡️ For Geology:- B.Sc. degree in Geology from recognized University/ Institute. ➡️ For Instrumentation:- B.Sc. degree Or Three years Diploma in Instrumentation or Instrumentation & Control Engineering from recognized University/ Technical Board/ Institute. ➡️ For Library Science:-Degree in Science with minimum one year Diploma in Library Science from recognized University/Technical Board/ Institute. ➡️ For Mathematics:– B.Sc. degree in Mathematics from recognized University/ Institute (candidates of PCM etc. may also apply). ➡️ For Mechanical Engineering:- Three years Diploma in Mechanical Engineering or Mechanical Engg (Production/ Automobile/ Refrigeration/ Air Conditioning/ Maintenance etc.) from Technical Board/ Institute. ➡️ For Metallurgy:- Three years Diploma in Metallurgical Engineering from recognized Technical Board/ Institute. ➡️ For Photography:- B.Sc. degree or Three years Diploma in Photography or Cinematography (Vocational Photography & Cinematography) from recognized University/ Technical Board/ Institute (Applied courses and Bachelor in Fine Arts are not eligible). ➡️ For Physics:- B.Sc. degree in Physics from recognized University/ Institute (candidates of PCM/PCB etc. may also apply). ➡️ For Psychology:– B.Sc. degree in Psychology from recognized University/ Institute. ➡️ For Zoology :- B.Sc. degree in Zoology/ Life Science from recognized University/ Institute (candidates of ZBC etc. may also apply). Salary : Rs.50,000 per month. Candidates have to pay application fee by Net Banking or Credit and Debit card no other methods to pay application fee.